The information we hold about you could include information you give us when you fill in forms, subscribe to our services (such as publications, sponsorship, or to attend events) or respond to email newsletters.  This information is important to us, because it enables us to send you news of Glasgow’s Golden Generation and its work and let you know how you can support us. We may do this by post, email, text and social media, where you have given permission. We also draw on information given to us by our supporters to help us keep our records up-to-date. We may also use this information to build a picture of our supporters and identify other people who might be interested in supporting our work. However, when we do this, your privacy will be protected. For example, any data we send to social media is in an unidentifiable form. We may share your personal information with our contractors who carry out work on our behalf – for example, suppliers who print our letters, process your donations, or help us find people who might be interested in supporting our work. We keep information for as long as we need it for the purposes for which it was collected. This will vary depending on the type of information. If you opt-out from fundraising communications we keep your information to ensure we don’t inadvertently contact you about your fundraising in the future. We always take exceptional care with the information we hold about our supporters. Where we contact you by email, SMS, or electronic means, we do this with your consent. Where we write by post, this is in our legitimate interests to show you how your donations have made a difference to older adult’s lives and to ask for further support of our work, so we can support older adults across Glasgow. WHAT CAN YOU DO IF YOU DON’T WANT YOUR INFORMATION TO BE USED BY US? If you wish to do this, please contact our Partnerships Fundraising Manager on 0141 221 9924 or at lynsey.neilson@glasgowgg.org.uk. HOW CAN YOU SEE WHAT INFORMATION WE HOLD ABOUT YOU? do this, please contact our Data Protection Lead. You can also contact our Data Protection Lead if you are unhappy with the way we are managing your personal information. If you are still unhappy you can complain to the Information Commissioner’s Office, the independent regulator which exists to protect people’s information rights.